The Teleport Pass is a membership to our site and it is a portal to some of the worlds most ICONIC destinations found here on THE GRID. All of the incredible locations on THE GRID can be viewed by you in ULTRA HD, in FULL 360°, with IMMERSIVE audio, and Narration by “Arthur” our AI Narrator. If you’ve ever dreamed of having the technology and the ability to teleport to distant and ICONIC locations then ZENIX VR is for YOU. I set out to make Virtual Reality accessible to everyone regardless of platform. That is why our experiences are designed and coded to work across nearly all modern digital devices. With cross-platform support and NO APP to download, you can be sure that the destinations on THE GRID are custom tailored for your specific device. Take a look through some of our amazing locations featured on THE GRID. With a Teleport Pass you have access to all of the VIRTUAL Destinations found here. These high quality immersive 360° experiences can be viewed on any device with no app to download and no software to install. Our supported devices include: Phones/Tablets/Computers and VR Headsets. ZENIX VR uses a web technology known as WebVR to deliver a virtual experience to your VR Headset. This web technology allows you to experience the virtual destinations on THE GRID in a variety of modern VR devices. Simply load our website from a WebVR compatible browser to begin teleporting to virtual destinations. Here you can see a sample Virtual Experience found on THE GRID. The experience above teleports you to the Library inside Hearst Castle. The full virtual tour of this ICONIC destination can be found on THE GRID. HDR Experiences like this one can be viewed in ULTRA HD, with immersive audio, and narration by Arthur. All you need is a Teleport Pass to gain access to the incredible Destinations on THE GRID. For just $7 you will receive full access to our platform, including THE GRID, our Community, and the Shop for an entire month. For just $49 you will receive full access to our platform, THE GRID, our Community, and the Shop for an entire year. For just $97 you will receive full access to our platform, THE GRID, our Community, and the Shop for a lifetime. Hello my name is TC! I’ve been dreaming about creating some form of Virtual Reality since I was a child during the 1980’s in a small town in Idaho, named Ammon. I happened to be the lucky generation that was born during the dawn of the PC in the 1980’s, where futuristic technology was not only on TV, but it was also beginning to show up in our homes and become a part of our daily lives. Once our family received our first computer the IBM 286 it wasn’t long before the PC and I became inseparable. I quickly realized that I could use this new technology as an outlet for my creativity and as tool for my Art. I can still remember using MS Paint to create my first digital Art! My father enjoyed Photography, and he had captured some amazing photos that were hanging on the walls of our home. As a child I followed in his footsteps and began to take photos of my own with a Polaroid camera. In 2008 I was first introduced to 360° HDR Panoramic Photography, and once I created my first immersive panorama I knew I had found my calling. I would go on to spend the next 10 years of my life as a Professional Panoramic Photographer-Designer-Developer, producing virtual tours for well known organizations. Now here we are in 2019 and all of my life has lead up to this moment, all of my hard work has gone into my greatest and latest creation ZENIX VR. Here you will find my collection of immersive 360° HDR Experiences, Photography Tutorials, Exclusive Prints, and a feature rich Community Platform. 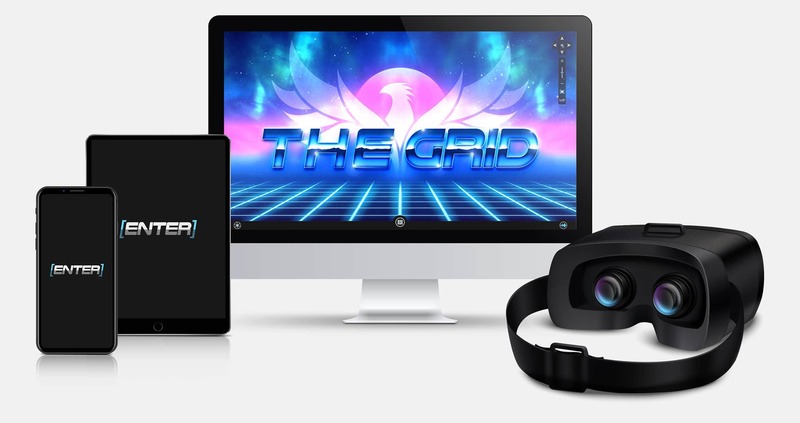 The virtual destinations at ZENIX VR are located on something I call “THE GRID”, here each location can be experienced virtually on a wide range of digital devices, with support for Phones/Tablets/Computers/VR Headsets. I’ve built the framework for a modern DIGITAL UPTOPIA at ZENIX VR, by making this platform Ad Free with no 3rd Party data collection. If you’ve ever dreamed of having your own “Holodeck” and the ability to Teleport to distant and iconic locations, I’ve created ZENIX VR for you. You can access my collection of immersive experiences on THE GRID with a “Teleport Pass“. The Teleport Pass is a membership to our site and it is a portal to experiencing the absolute highest quality immersive experiences found on the web. READY to Experience THE GRID?